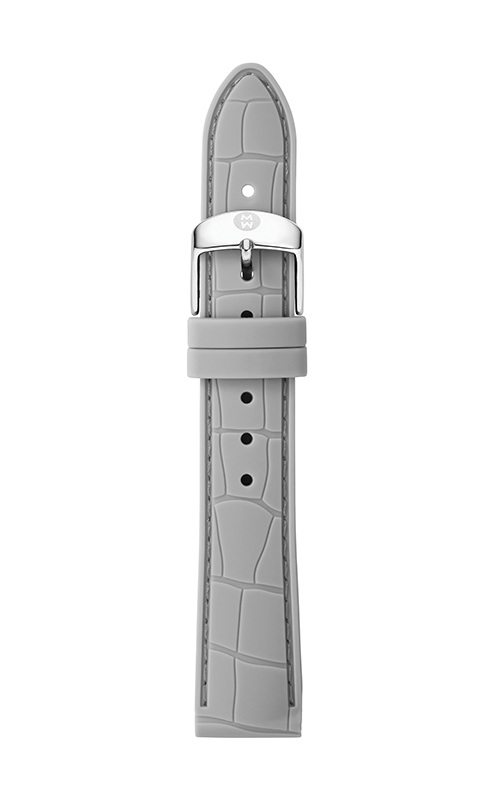 Add a touch of sophistication to any sporty style with the Light Grey Embossed Silicone strap. 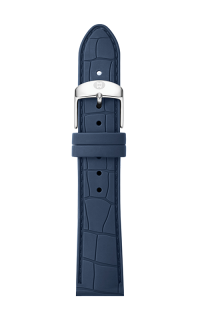 This strap is easily interchangeable with any 16mm MICHELE watch. 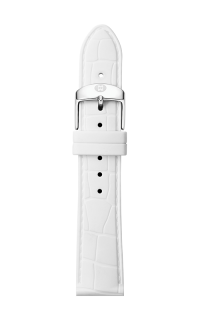 The stainless-steel buckle features the signature logo engraving.